CBC Studio One in Vancouver holds many ghosts for me. I have taken photographs of musicians there.The CBC Vancouver Radio Orchestra used to record in Studio One and is now home of its re-incarnation, the CBC Radio Orchestra. 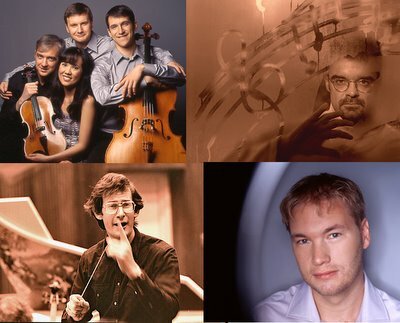 If it weren't for this orchestra many contemporary Canadian composers would never see their music recorded or played on the radio. One ghost that haunted the studio yesterday during the Mozart Noon & Night Program (conmemorating Mozart's 250th anniversary of Mozart's birth with 12 hours of live music) was conductor Sir John Eliot Gardiner who directed the orchestra back in 1981. I feel lucky since I have photographed all three of the directors of the orchestra from its beginning, Avison, Gardiner and the present Mario Bernardi. The sound of the studio yesterday was particularly precise for the Borealis Quartet, my favourite Canadian quartet. There were moments when I thought each instrument was wired separately to my ears. Canadian composer/director Rodney Sharman (top right)made me laugh with his explantions of the problems Mozart had as a young boy with his overbearing father Leopold. The evening, which ended with two gigantic birthday cakes, was best for me when young baritone Tyler Duncan, accompanied by science fiction fanatic Rena Sharon on the piano, sang some memorable Mozart vocal music including my fave Warnung K.433. Kudos to Michael Juk, Don Harder, Derek Bird Matthew McFarlane and I hope pianist Kenneth Broadway comes back to play soon. I have always thought that bullfighters should have more than the sponsorship of the Blessed Virgin Mary to protect them from the possibly fatal gorings of the bull ring. I had been unaware that some bullfighters in the know also pray for San Macareno de la Estocada who is their patron saint. Here he is. 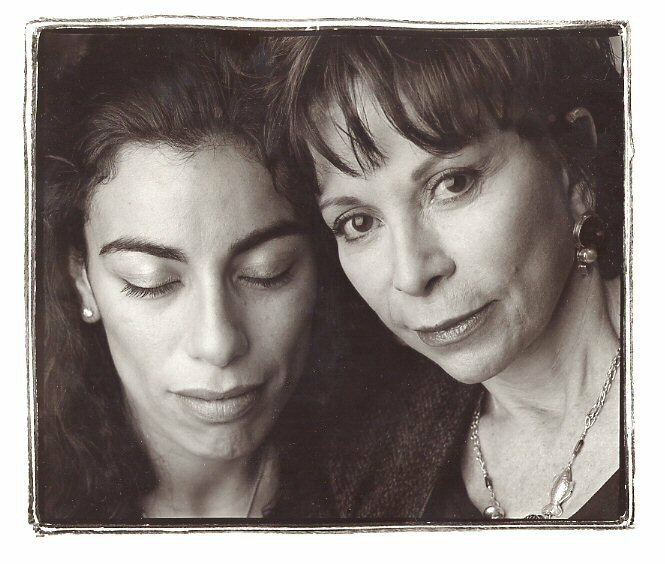 When I had to photograph Vancouver based Chilean playwright/actress Carmen Aguirre with Isabel Allende I had the difficulty that such was the beauty of Ms Aguirre, when her eyes were open, that there was no way Ms Allende could compete. So this was my solution. As a little girl in distress Ms Aguirre wrote to Ms Allende who somehow helped to pull her out. Years later they met at the coffee shop of the Hotel Vancouver where I took this picture. I first met Patricia Hutter when I was learning to dance the Argentine tango. I found out she played and plays the string bass for the Vancouver Symphony Orchestra. She is from New York City and she is most sophisticated. She also paints. Best of all, she married my neighbour Robert Freedman so she lives nearby. Patricia often invites me to drink tea in her kitchen. 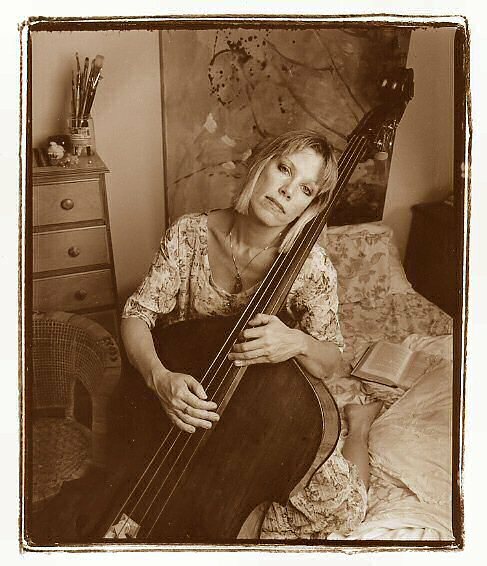 I told her I wanted to photograph her with her bass. She said yes, but blushed when I mentioned I wanted her to pose on her bed. Here she is with Nicolo. Jay Clarke (50% of Michael Slade) has found a safer replacement for Alberta beef. doing this. 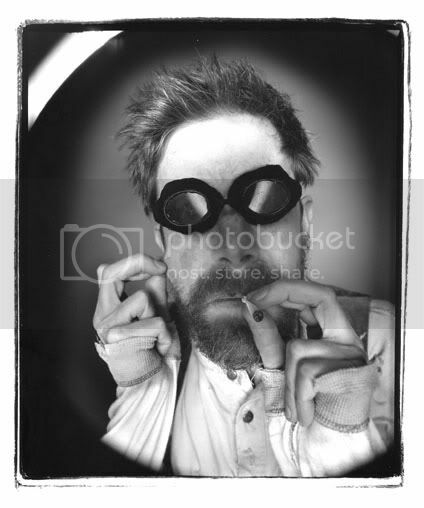 But since I don't indulge, I will see, at the Frederick Wood Theatre at 7:30 today Tuesday, the actor here (Jonathon Young), in the Electric Company's production: Studies in Motion: The Hauntings of Eadweard Muybridge. 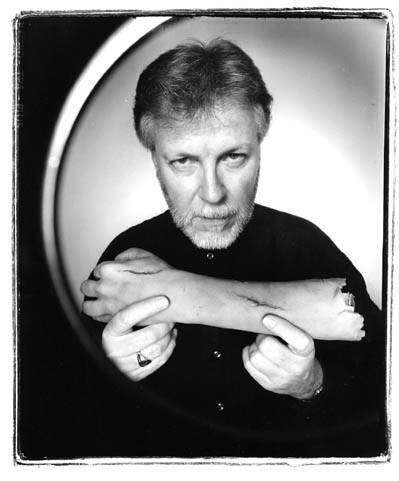 The play was written by Kevin Kerr, it is directed by Kim Collier and it has choreography by Crystal Pite. I just might forget about the Conservative victory. For a while. 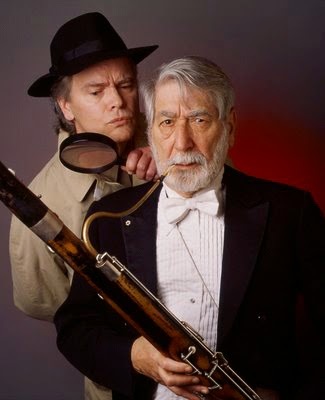 Even though the bassoonist George Zukerman (Order of Canada) is a terrific musician there is evidence that the brutal killing of a deaf Chihuahua in White Rock with a blunt wooden object may lead to him as Ron the Detective is hot on the trail. Link to: The Bassoonist Did It!